I'm always wary about Terminal 5. It's a beautiful venue where I've seen countless bands, but the trek to the West Side is never easy. The anticipation and anxiety that fill you up before you see one of your favorite bands live can make the travel miserably exciting and create expectations that the band may not be able to live up to. After all the shows I've seen it's very rare to experience something entirely new I haven't witnessed before at a show. The same cannot be said about the Toro y Moi show I saw last Friday. Terminal 5 gets a lot of flack as a venue but I don't see why. Minus the sometimes shaky sound system, which I put on the house engineer, the acoustics are pretty solid with a good view of the stage from almost any position you choose to stand. The drinks are average, which is saying a lot because most city venues are not. The crowd is almost always diverse young crowd of hipsters, skaters, and an assortment of other NYC stereotypes. Summed up, its the essential NYC venue that everyone should experience at least once. 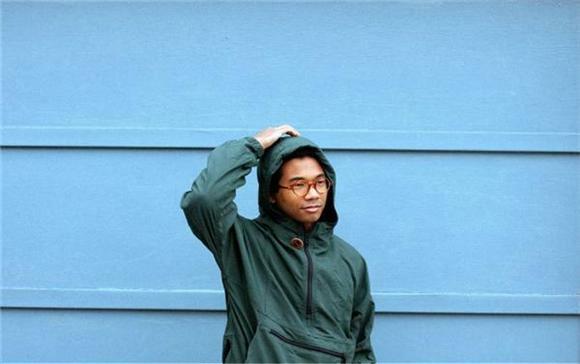 As far as Toro y Moi, I've been a small fan of the band for awhile, but I had yet to really get into their old stuff. Their new album What For? is surprisngly fresh with music I expected to translate over live well and it did. Full of psychedelic grooves and more straight forward rock anthems, Chaz is obviously moving into a different direction than his previous synth heavy music was focused on, not that he is by any means abandoning it. The fusion of these sounds worked on the album and even more live. As the songs morphed into one another, similar to the ideas he explored on the new album, you could tell Chaz is trying to make his art one cohesive package. With a truly trippy background that seemed to be morphing as the light show took the visuals to the next level, the band went through hit after hit after hit with intense crowd interaction. Even as less popular songs filled the venue, audiences members either danced as hard as a rave or grooved along in place. Chaz was his happy go lucky self. Even in the moodier songs, he kept on smiling and showing love to the NYC crowd. The band took their songs and added extra levels, jamming them out into spectacular form as if watching a 70's psychedelic rock band. Akin to Tame Impala. A little before halfway through his set, one of the strangest happenings at any show I have ever been to occurred. The person next to me got so caught up in a trance that he crashed to the ground as Chaz was solo riffing an absolute gem that had the entire venue going up. At first I thought the person had fallen over by mistake, too caught up in the music to understand how to properly stand up. Suddenly, I noticed it was my friend I came to the show with. He was shaking and convulsing, obviously bothered by the mind numbing light show. As I got him to his feet, he didn't remember what had happened. As he looked at Chaz still slamming through a riff, he caught wind of the visuals again and once again went back into his trance crashing to the ground. Some good samaritans helped me carry him out of the pit and to safety. After some water and a laugh, he built up the confidence to face Toro once more. Thankfully, the energy of the crowd was vibing down at this point as the songs became less and less jam intense as he focused on fan favorites. My friend and I danced the night away and trekked impossibly far back home with him constantly thanking him for never leaving his side as the insane light show continued to flash in my mind. Between saving my friend from being stomped on and seeing one of the more trippy shows I have ever seen, I would consider the night a smashing success for me and Toro. Check out "Buffalo" off What For? below and pick up the album here.